We all know that brands need to deliver quality content to grow their audience and appear online. But content marketing can also work as a sales tool in order to uncover potential buyers and funnel them from prospective purchaser to lifetime customer. 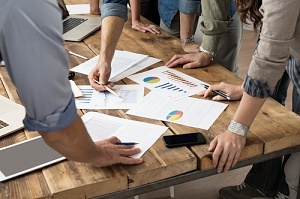 In this article, we discuss how to create an effective content marketing strategy that can significantly improve your leads and more than double your sales. 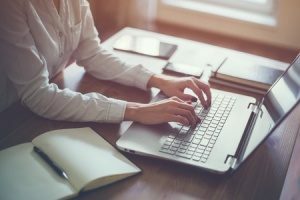 Content marketing begins and ends with understanding your customer: what their interests are, what messages resonate with them, and where they find information online. By conducting market segmentation and research, you can discover who your customers are, and thus the type of content that is most likely going to resonate with them. You will want to start your marketing segmentation with buyer personas: detailed biographies of fictional clients that address who your customers are and what they value. Start with some basic info: “the customer is a (blank) who wants to (blank).” For a customer at Taco Bell, you might start with: “the customer is an office worker who wants to get a cheap lunch.” Then, you want to consider factors such as demographics (gender, age, education, occupation, income level, etc.) and psychographics (attitudes, aspirations, opinions, and interests). Conclude by considering what attracts your customers to your product and what problem(s) it solves for them. After creating hypothetical personas for each type of customer you might have, you can then conduct market research to fill in the gaps. This often starts with performing extensive keyword research to discover the search terms, words, or phrases your customers search for regarding you topic. You can then create a list of industry-relevant topics to base your content on. This gives you a foundation of words and concepts that you can add to as you further your content research in other areas. Furthermore, by matching your content to keywords that already rank high in the search results, you’ll set yourself up for success by creating content that also ranks. There are other techniques for discovering unique and useful content outside of keyword research. One approach is to look into what websites your target audience frequently use and what industry-specific groups, if any, they belong to. You can also perform field research by polling existing clients, going to industry-specific networking events or meetups, and browsing industry forums. Make a list of all the things they talk about or find interesting; likewise, ask questions about what type of content they find most appealing or useful. Remember, the insights you glean from market research are the basis for understanding the type of content you need to attract, educate, and convert your audience. Once you have identified who makes up your target audience and what types of content they are most attracted to, you will need to set up a content calendar that maps out what content you are going to distribute for each type of customer, as well as when it will be shared. A good content calendar addresses the ‘what, where, and when’ for each of your buyer personas for each month. For example, if you were in the shoe business, you would want to plan content for men, women, and children (or more specifically, their parents) each month, in relation to their respective needs for shoes that month. You would not want to market men’s dress shoes to eight-year-old girls any more than you would want to post content about Ugg boots in the blisteringly hot month of July. Once you have a solid idea of what content you are going to write about and when you plan to post it, you can move on to the next and most important step in the content marketing process: distribution. By this point, you should have a solid grasp of who your customers are, what kind of content they value, and when to you’re going schedule your posts. Now, it is time to actually do the work of creating relevant content that gets shared. One of the most useful ways to think about the importance of this is with the concept of a funnel. A “marketing funnel” is a phrase used in marketing to describe the journey a consumer takes from when they initially discover your website and content to when they convert to a sale. In between these two points a customer is likely to spend his time developing an interest in your content, and a desire (or consideration) to buy your product. The key point here is that relevant content creation is the foundation for building both interest and desire. If your customer doesn’t see content that’s relevant and interesting to him, or that encourages him to use your products, he’s not likely to stick around long enough to convert. Seen from this lens, the goal of content marketing, then, is not to specifically close the sale. Instead, it’s to nurture your relationship with your customers, by delivering useful content that inspires interest in what you have to say, and a desire to use your products. Once those needs are sufficiently met, it is likely they will convert. As long as you are consistently posting relevant and engaging content, everyone at the bottom of your funnel should be eager to buy from you. By avoiding the mentality of “buy now or go away forever” and, instead, focusing on delivering quality content specific to your audience, you can optimize your funnel to maximize conversions and, in the process, more than double your sales. Ready to start creating your own content marketing game-plan? 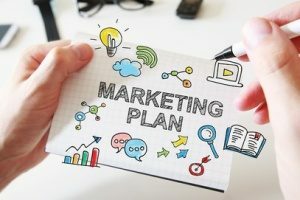 Hiring a digital marketing firm can help minimize wasted effort by creating a personalized content marketing campaign for your unique business or industry. The content marketing experts at 321 Web Marketing have extensive experience in market research, content creation and conversion funnel optimization. If you are ready to start on your content marketing campaign, contact 321 Web Marketing to schedule a consultation.